Avocado is one of my favorite foods. Honestly, I eat avocado on just about everything. 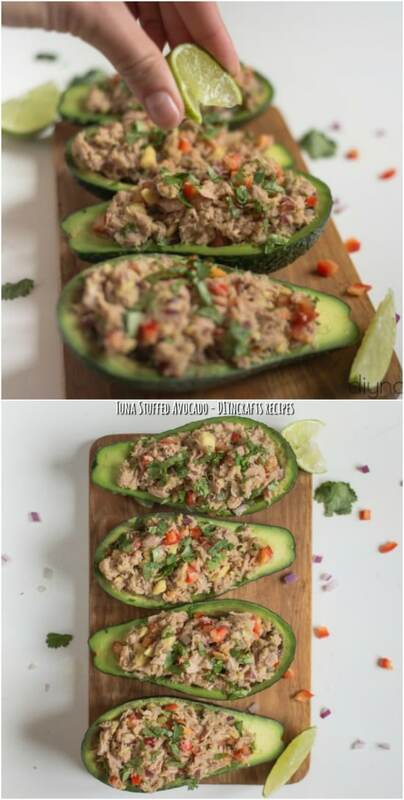 You can imagine how thrilled I was to come across this amazing tuna stuffed avocado recipe. I had to give it a try at my last get-together and it was a huge hit. 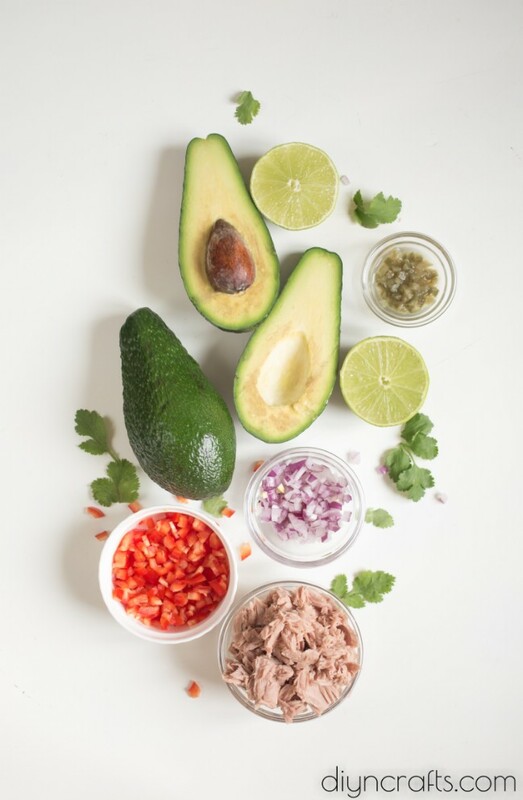 Aside from the fact that there’s avocado, it’s got tuna and is a much healthier appetizer than many others out there. 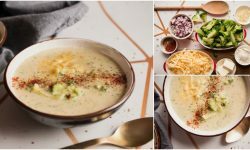 If you tend to like to keep your foods light and low in fat and cholesterol, this is certainly a recipe that you are going to want to try. The flavor comes from fresh cilantro, jalapenos, and a few other tasty herbs and spices. This is definitely not your grandmother’s tuna salad but it is sure to become your favorite tuna recipe. And, if you like low fat and healthy appetizers – and avocados, be sure to take a look at this avocado fries recipe. 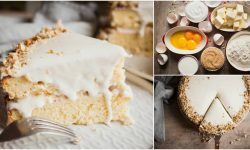 It’s also easy to make and so delicious. 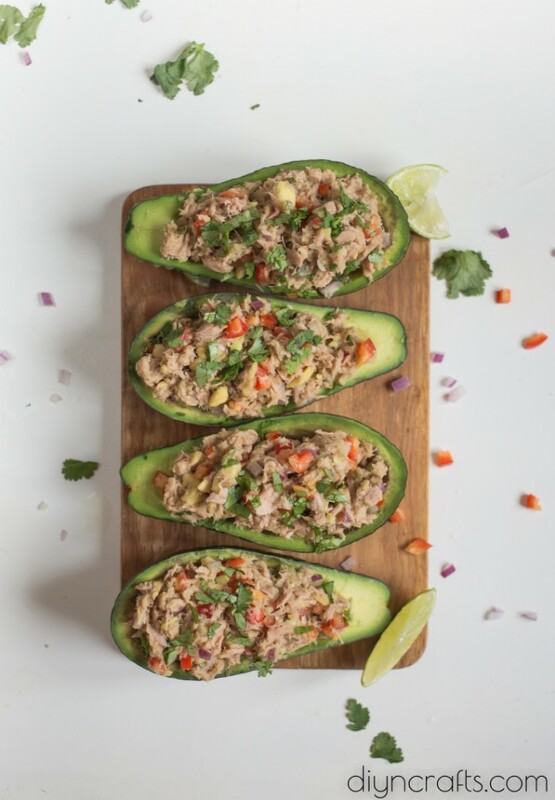 Whether you’re planning a brunch or dinner party or you just want something tasty that has fewer calories than those unhealthy chips and cookies, this tuna stuffed avocado recipe is sure to become your go-to. 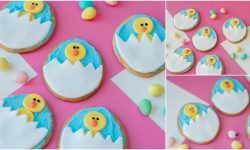 You can have them made in less than half an hour. They’re so easy and they look really attractive – like little boats of tuna. Oh, and if you are planning a brunch and want a tasty main course recipe, be sure to check out this salmon wellington. It’s light, quick to make, and really tasty. You’ll want to make sure that the avocados aren’t too ripe for this. 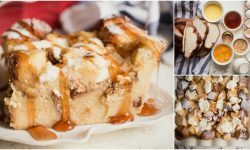 You want the halves to remain intact and not be too mushy when you split them. 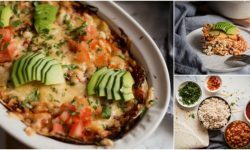 Also, scooping out avocado with a tablespoon keeps the shell in place beautifully and makes a wonderful presentation for this recipe. 1. Cut avocado in half and scoop out some of the flesh to widen the “boat”. 2. Mash scooped avocado with a fork. Add flaked tuna, minced jalapeno, onion, cilantro and bell pepper. Season with jalapeno pickling liquid, lime juice and zest, salt and pepper. Mix well. 3. Fill avocado boats with prepared mixture. Serve immediately. Cut avocados in half, remove seed, and scoop out flesh. 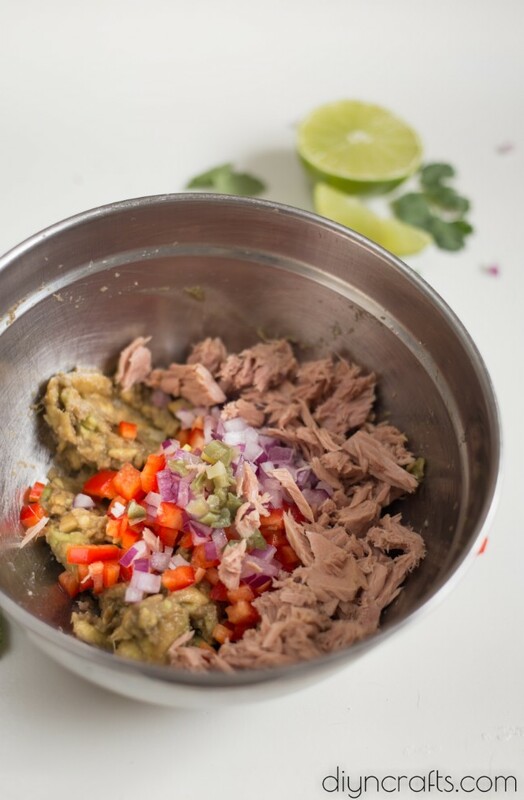 Mix tuna with jalapeno, herbs, and other ingredients. 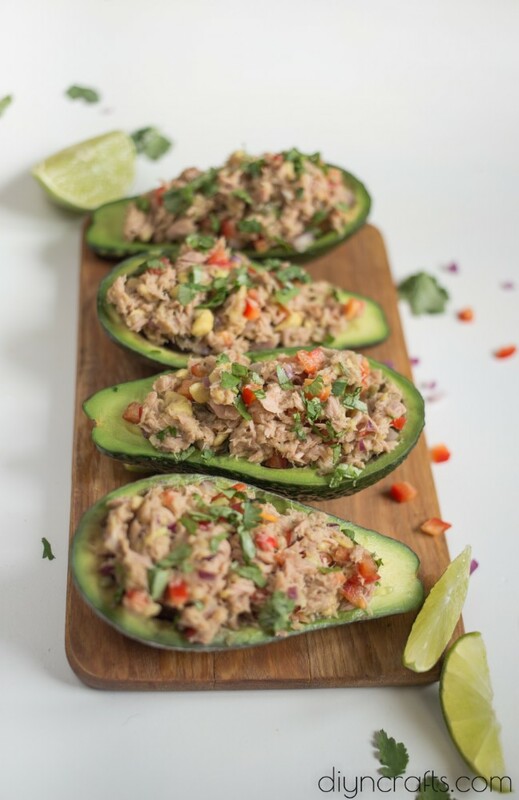 Fill each avocado boat with tuna and avocado mixture. 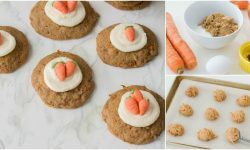 Such a lovely and tasty appetizer – healthy and delicious. Cut avocado in half and scoop out some of the flesh to widen the “boat”. Mash scooped avocado with a fork. Add flaked tuna, minced jalapeno, onion, cilantro and bell pepper. Season with jalapeno pickling liquid, lime juice and zest, salt and pepper. Mix well. Fill avocado boats with prepared mixture. Serve immediately. I’d love to sub chicken for tuna and thyme for cilantro! Yum.